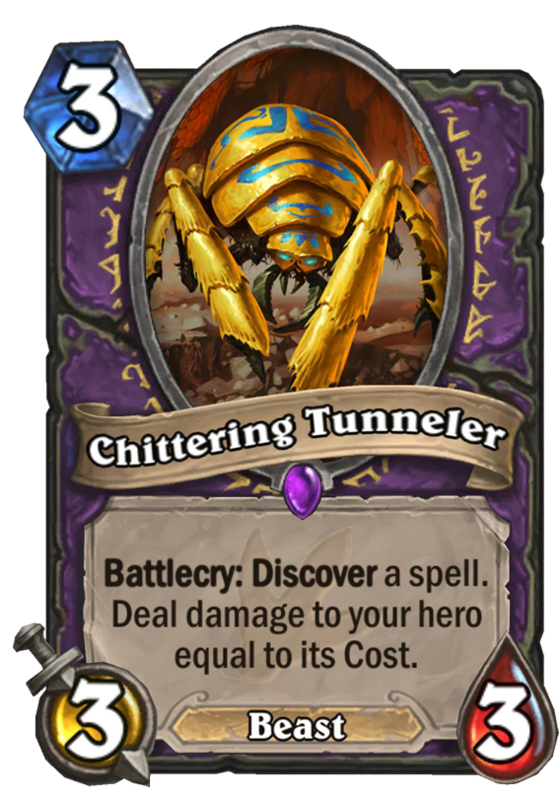 Chittering Tunneler is a 3 Mana Cost Epic Warlock Minion Beast card from the Journey to Un'Goro set! 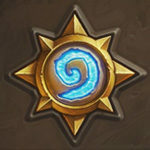 Battlecry: Discover a spell. Deal damage to your hero equal to its Cost. Rating: 2.7/5. From 792 votes. I kind of like the idea that would could get more Soulfires with this and get that Quest done faster with this. I think it’s important to remember that Warlock’s spells typically have a low mana cost, and instead have a drawback. So definitely not the wrong class. Is it good? Maybe. Hard to see, will just have to try. Once again, I actually think that this card is underrated and has decent potential. 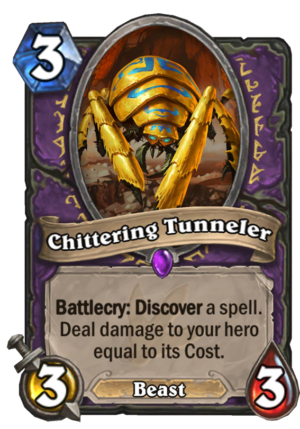 a 3mana 3/3 discover a spell is really strong and the damage effect is not that important. It can be a decent way of increasing your range, fishing for lethal, and you could get a boar-clear or removal for this (whih obviously saves you more than the health you spend). I think this has decent potential, if nowhere than in Renolock in Wild. Though I can even see it in zoo, though the stickiness of Imp Gang Boss would certainly not be replaced by this. maybe we’re back to running Harvest Golem? card’s not bad. it is, in the end, a 3/3 that discovers a card. As seen in other card games, life points are a resource that you should use rather than conserve, and this is true especially in warlock. I’d like to play this just so I can pull a forbidden ritual. I’d say sac pact but that would only be awesome playing against reno.